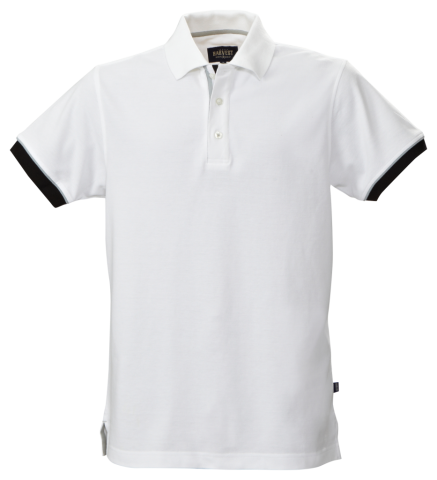 Men’s modern fit piqué polo with yarn dyed cotton. 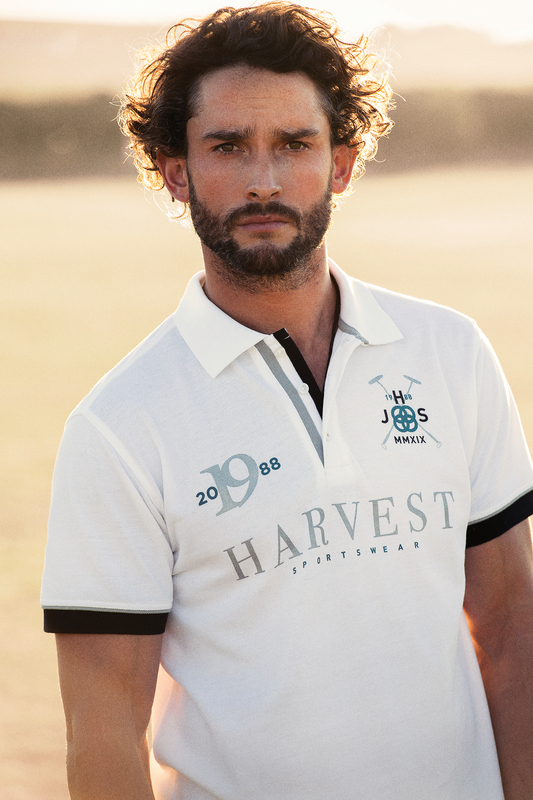 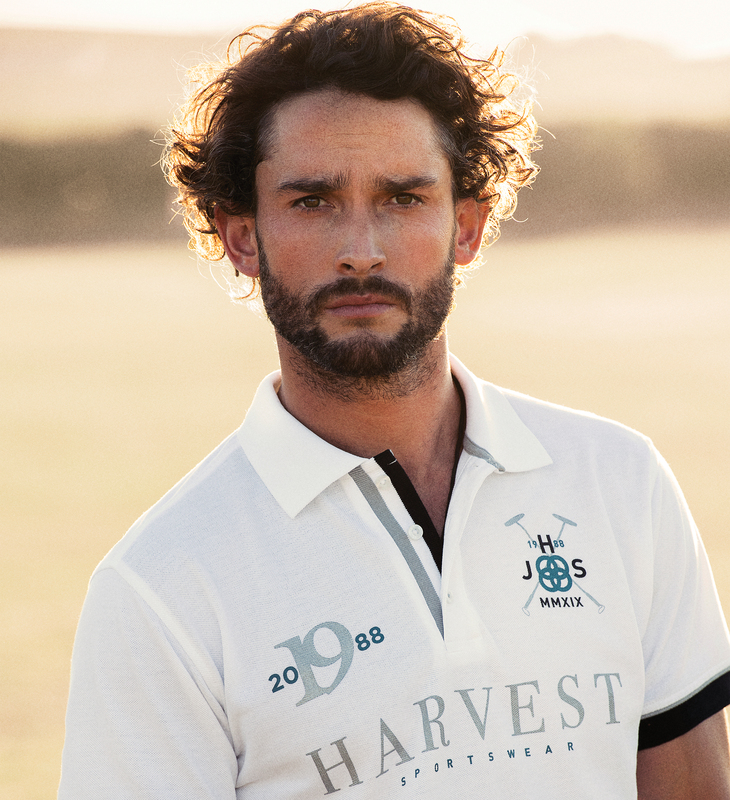 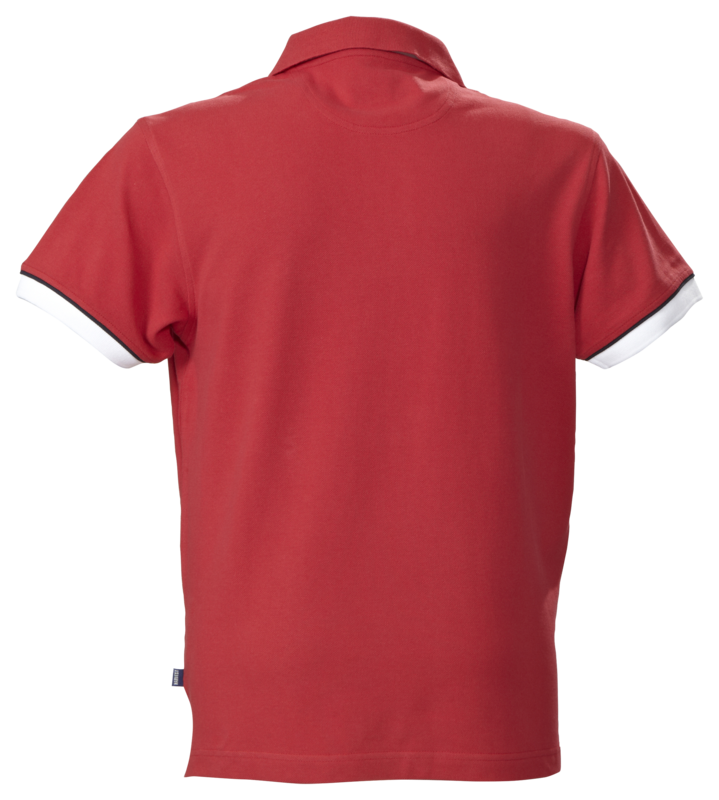 Contrasting tape at neck, placket and sleeve rib. 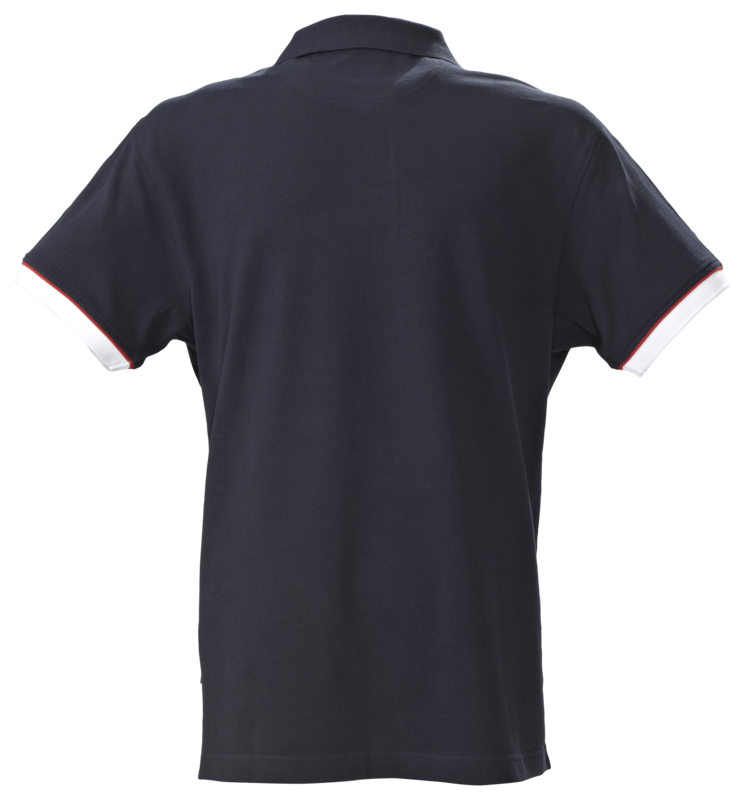 Contrast colour on reverse side of collar. 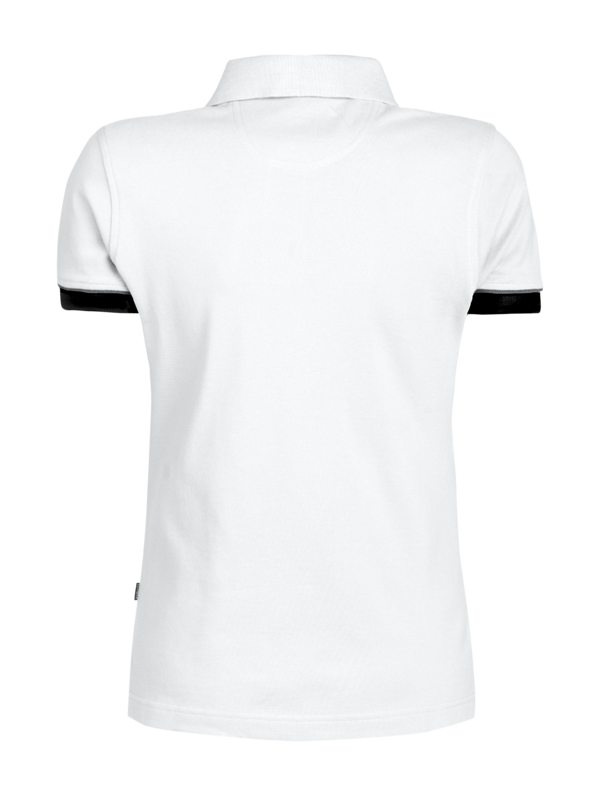 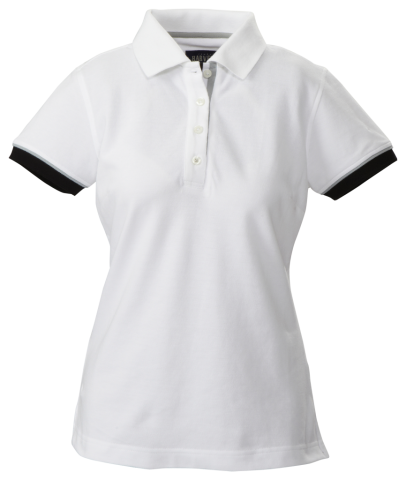 • 100 White features black, white & grey stripe at neck & cuffs. Plain white on reverse collar. 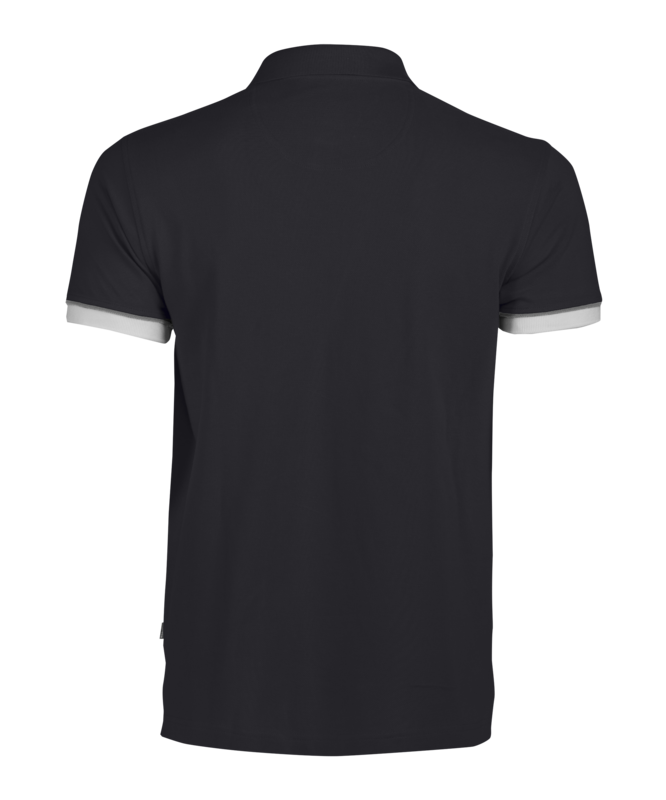 • 900 Black features black, white & grey stripe at neck, cuffs & reverse collar. 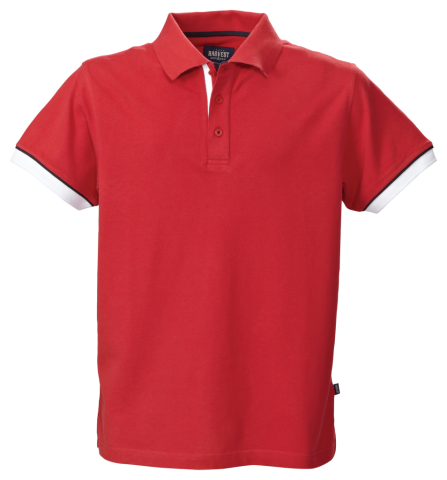 • 400 Red features navy, red & white stripe at neck, cuffs & reverse collar. 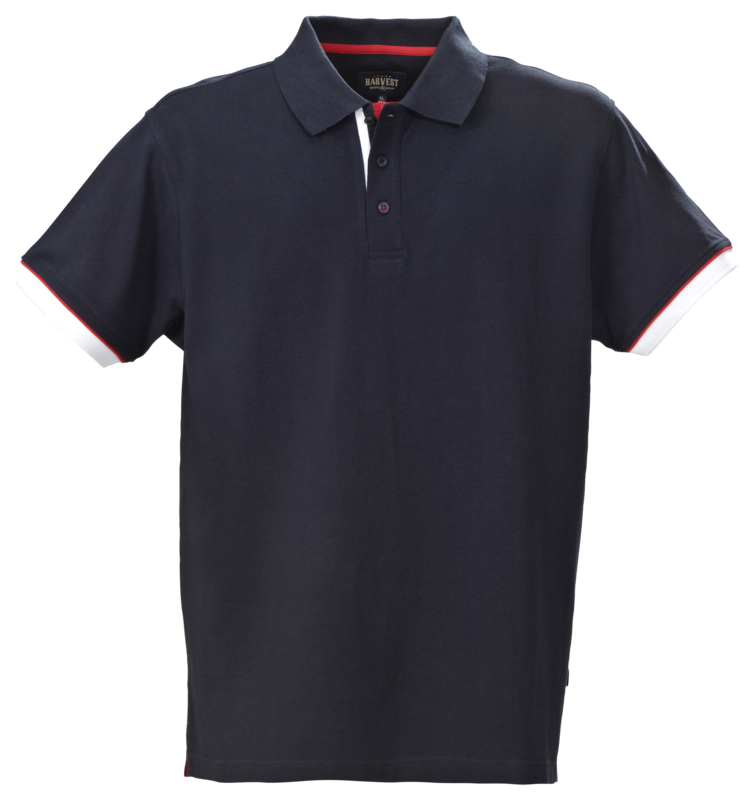 • 600 Navy features navy, red & white stripe at neck, cuffs & reverse collar. 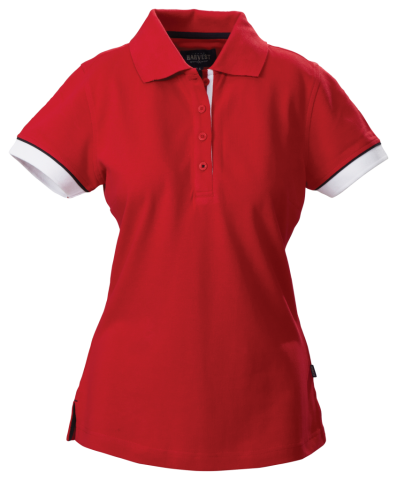 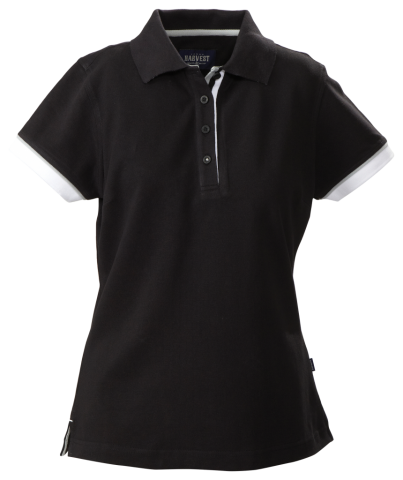 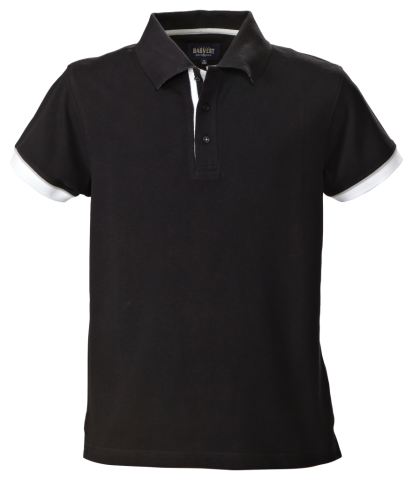 Ladies modern fit piqué polo with yarn dyed cotton. 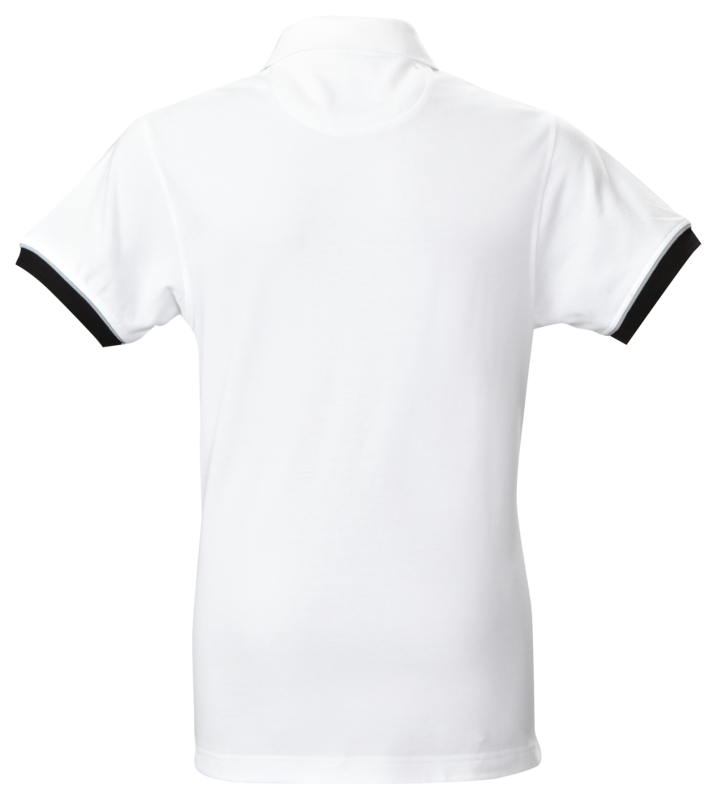 Contrasting tape at neck, placket and sleeve rib. 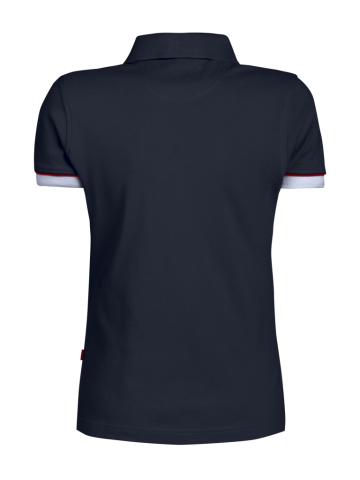 Contrast colour on reverse side of collar.